Tennessee’s ShilohNational Military Park, a masterpiece of Civil War interpretation and preservation, will hold the 150th commemoration of its strategic battle during a series of events taking place March 29-April 8. 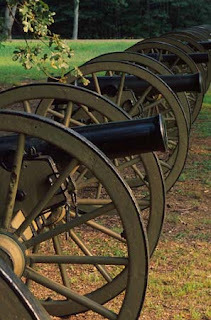 The state’s 2012 Sesquicentennial Signature Event: “Invasions by Rail and River: The Battle of Shiloh” will be held April 4-5 at Pickwick Landing State Park in Pickwick Dam. This event begins with the Looking Back project hosted by Tennessee State Library & Archives. There will documentary The Story of Shiloh: Fiery Trial will premier at 7 p.m. on April 4. Official Opening Ceremony will take place at April 5 will kick off with the firing of an official Shiloh cannon at Pickwick Landing State Park. 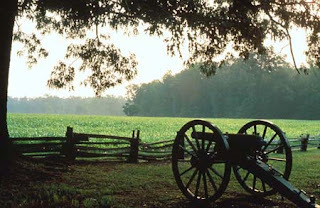 Other features include a forum with America’s foremost historians on the battle of Shiloh, living history demonstrations, a special Sesquicentennial Civil War exhibit offering rare and unique artifacts from the Battle of Shiloh, and a musical performance by The 52nd Regimental String Band. A highlight will commemorate the Battle of Shiloh with a "Grand Illumination" on the evening of April 7. Luminaries will be placed around the battlefield representing the 23,746 killed, wounded or missing at Shiloh. Other special activities taking place April 6-8 including special ranger led hikes at the corresponding time and place--150 years later. For more information visit www.nps.gov/shil/shiloh-150th-anniversary.html. Other events on March 29-31 are two reenactments that will feature more than 6,000 re-enactors and more than 100 cannons. 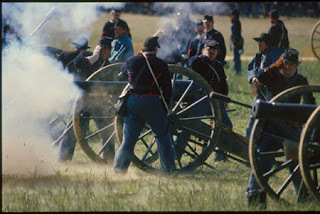 The action will unfold during these locally organized reenactment events coordinated and sponsored by The Armies of Tennessee and the Blue-Gray Alliance. The Armies of Tennessee reenactment will feature a march to Shiloh from Mississippi. The Blue-Gray Alliance reenactment will transport soldiers by rail and river, as they were 150 years ago, directly into the battle.